Wash sarson, bathua, spinach leaves very thoroughly. Finely chop all three greens, and keep aside. Take a pressure cooker and put the finely chopped sarson, bathua, spinach and add two cups of water, salt, whole green chilies, close the lid and cook it on high flame till full pressure is formed. Once the pressure is formed reduce the flame to low and cook for 20 minutes. Let the pressure cooker cool to room temperature, open the lid, take out the saag mix and blend it, keep aside. Add maize flour slowly and mix it with the help of a ladle, cook it well for about 15 minutes. Take a heavy bottom saucepan and heat pure ghee, add onions sauté till translucent. Add grated ginger, mashed garlic, sauté till slightly pink. Temper the saag with the fried ginger garlic.Serve hot with makki ki roti, makki ki poori or paratha. 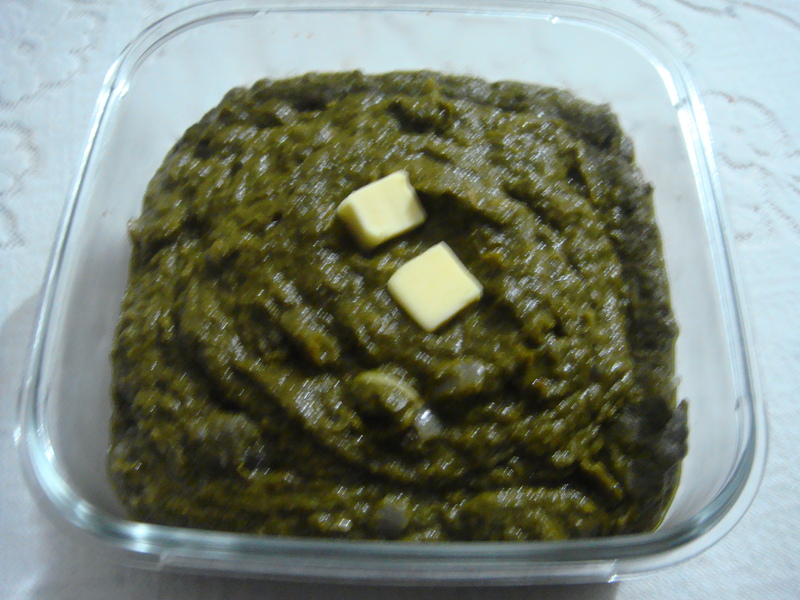 Serve with a small cube of white butter on top of the hot saag . Take in a big bowl makki atta/ Maiz flour and wheat flour, add salt and carom seeds. Knead it well in to a soft dough by adding hot water slowly. Heat the tava / griddle make ten equal portions from the dough. Make round shape of the dough, flatten it and roll in to 1/4 ” thick discs. Carefully transfer each rolled disc one by one to the tava / griddle. Add a little ghee so that it does not stick. Cook on medium flame with ghee till golden brown on both sides. Serve hot with hot sarson ka saag and white butter. 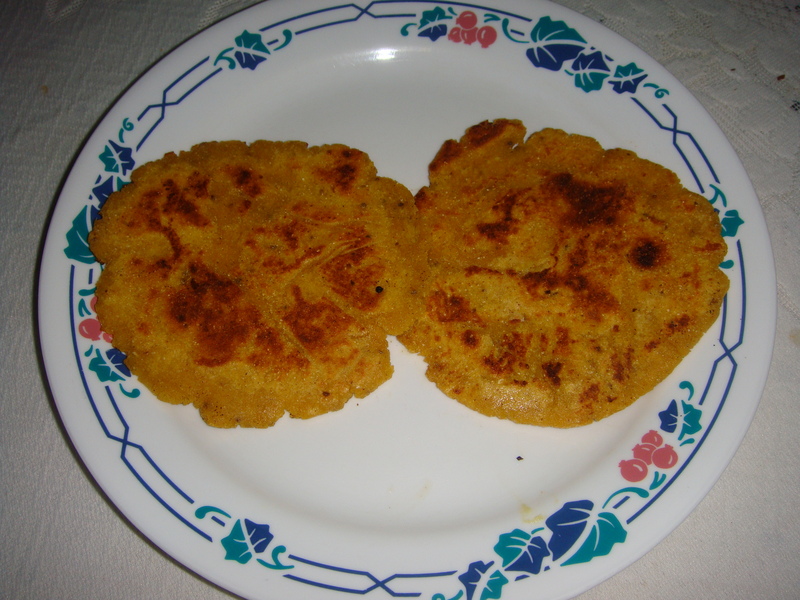 Note: By adding wheat flour it becomes easy to handle the makki ka atta/ Maiz flour for making the roti. Mustard greens like spinach are the storehouse of many phytonutrients that have health promotional and disease prevention properties. Mustards are very low in calories (26 kcal per 100 g raw leaves) and fats, but rich in dietary fiber; recommended in cholesterol controlling and weight reduction programs. However, its dark green leaves contain very good amount of dietary fiber that helps control cholesterol level and also help protect against hemorrhoids, constipation as well as colon cancer diseases. Fresh mustard greens are an excellent source of several vital anti-oxidants and minerals like vitamin C, vitamin A, vitamin E, carotenes as well essential minerals such as calcium, iron, magnesium, potassium, zinc, selenium, and manganese. The greens are supposed to be one of the highest among leafy vegetables which provide vitamin K. 100 g of fresh leaves contain about 497 mcg or about 500% of daily requirement of vitamin K 1 (phylloquinone). Vitamin K has found to have potential role in bone mass building function by promoting osteo-trophic activity in the bone. It also has established role in Alzheimer’s disease patients by limiting neuronal damage in the brain. 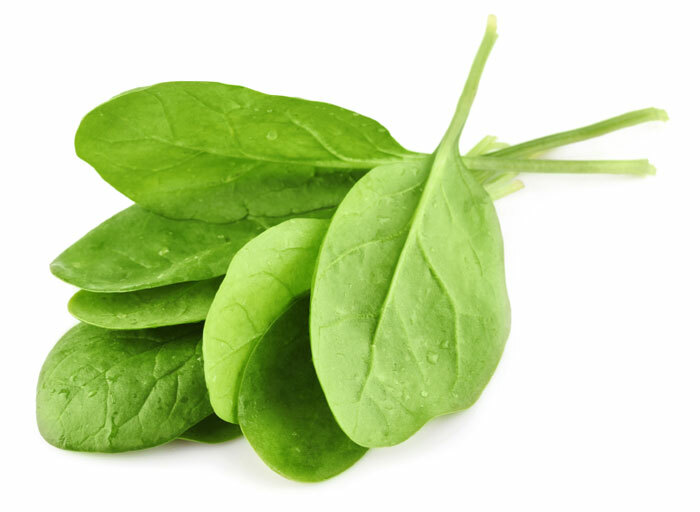 Fresh leaves are also very good source of folic acid. 100 g provide about 187 mcg (about 47% of RDA) of folic acid. This water-soluble vitamin has an important role in DNA synthesis and when given before and early pregnancy help prevent neural tube defects in the baby. Mustard greens are rich source of anti-oxidants flavonoids, indoles, sulforaphane, carotenes, lutein and zeaxanthin. Indoles, mainly di-indolyl-methane (DIM) and sulforaphane have proven benefits against prostate, breast, colon and ovarian cancers by virtue of their cancer cell growth inhibition, cytotoxic effects on cancer cells. Fresh mustard leaves are excellent source of vitamin-C. Provides 70 mcg or about 117% of RDA per 100 g. Vitamin-C (ascorbic acid) is a powerful natural anti-oxidant that offers protection against free radical injury and flu-like viral infections. The leaves are also an excellent source of vitamin-A (provide 10500 IU or 350% of RDA per 100 g). Vitamin A is essential nutrient for maintaining healthy mucus membranes and skin and is also essential for vision. Consumption of natural fruits rich in flavonoids helps to protect from lung and oral cavity cancers. Regular consumption of mustard greens in the diet is known to prevent arthritis, osteoporosis, iron deficiency anemia and believed to protect from cardiovascular diseases, asthma and colon and prostate cancers. Many groups in India use bathua medicinally. According to the book, “Indian Medicinal Plants,” bathua acts as a laxative, anthelmintic for hookworms and roundworms, and as a blood purifier. When prepared as an infusion, it manages hepatic disorders, spleen enlargement, biliousness, burns, and ulcers. The book, “Handbook on Herbs Cultivation and Processing” explains that that the ground plant mixed with alcohol is also applied topically to treat rheumatism and arthritis. Bathua or Chenopodium album, also called Goosefoot, Lambs’ quarters and All Good is a plant whose leaves are used as a vegetable. Bathua has a lot of health benefits as well. It is very useful for those suffering from kidney stones. Take out the juice from tender leaves and stems by grinding them, Drink 10-15 ml of this mixed with water on empty stomach in the morning and then in the evening also for some days. It helps to break the stones and helps in their removal. 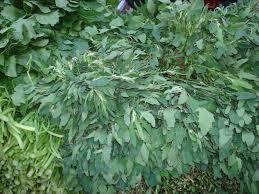 Bathua is a brain food, removes urinary infections and promotes urine flow. It is useful for those suffering from arthritis. If there is swelling and pain steam heat some leaves and apply this as a hot poultice on the area. It will reduce swelling and pain. Bathua is also useful for internal swellings of stomach, intestine, liver, uterus etc. In jaundice mix equal quantities of juice of bathua and giloy (tinosporia cordilolia). Take 25-30 ml of this mixture in the morning and evening for relief from jaundice. For gout and high uric acid eat bathua vegetable regularly.